Utada Hikaru's first English-language album, Exodus, was an instant hit when initially released in September 2004, ranking no. 1 on the Oricon charts and selling over a million copies. 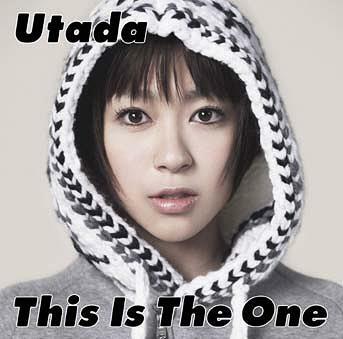 2009 sees Utada return to the English speaking pop world with the goal to conquer a bigger US market, where she looks to gain a larger share market after Exodus entered the top 160 on U.S. charts. Utada's second full-length English-language release is scheduled to hit he shelves in March in Japan and May in the U.S. The mid-tempo R&B ballad Come Back To Me, Utada's recently released spin-off track, is the principal number on this highly anticipated release. love love this one, apple and cinammon n come back to me <-------- these are soo good! nonetheless im pretty impressed with utada! I've only listened to "Come Back To Me" and "Poppin" out of this album so far and they both sound good. I actually heard her song (and her being promoted) on the local radio a couple of days ago. I was really surprised to hear it and I'm glad she has the support from many. I hope to hear the rest of this album soon and that she will succeed in the U.S.
this album was okay!! few good songs..i thought it would be better!! I happy that she's doing really well. The song enter billboard top 100 right? i like this album. i keep listening to it, but then the lyrics are sort of weird. It took me time to discover what the song was about. this is album is pretty good compare to her other ones... i really like the song come back to me.. Overall this album is alot better than exodus. I didn't like it at first, but it gained more appeal after I listened a few more times. Some of the songs are pretty catchy! I love her song it so calm and awesome I just don't know how to put it in words its just awesome! Agree..this album is much better than Exodus. Had to listen to it a few times, but really like the song Apple and Cinnamon. So far, I only listened to the song "Come Back To Me" and it is really good. I can't wait until I find some time to go out and buy her CD! I actually thought Exodus wasn't that bad. Yeah, some tracks were cheesy *cough*EasyBreezy*cough*, but the production was on point. It just wasn't Utada's sound because Timbaland's production, flavor, influence was so strong. With that said, I enjoyed This Is the One. A little less experimental like Exodus was and more of that usual Utada sound. My favorite track would probably be Me Muero. this album is really good , i especially like apple and cinamon !!! good album, but it's so short! only 12 songs! most cds are 17 songs or so. I've been playing it over and over cause it's so short! love this album...fav tracks 2, 3, 5 and 9....rocks! this album was much better than her first album. Like tracks 2, 4, 5,9.